Peter Margaritis is the co-author of our newest book: Twenty-Two on Peleliu. This book tells the wild, true story of George Peto’s life growing up during the Great Depression, to his military service with the “Old Breed” Marines in World War II, to his life after the war, in his own words. Here, Peter Margaritis tells us a bit about his background, his favorite books, the inspiration behind telling George Peto’s remarkable story, and why everyone should read his book. I was born in Gary, Indiana. A thriving steel mill city at that time, it was one place where a new immigrant could get a decent paying, albeit grueling hard job. As a result, the town had these different ethnic centers. We lived in the Greek-Serbian-Macedonian quarter, and were an intricate part of the Greek Orthodox community. In my junior year though, we moved to Columbus, Ohio. I’ve stayed in Central Ohio ever since. Could you tell us a bit about any history of military service in your family? In what ways was the military part of your life from an early age? When I was only months old, the Korean War broke out. My father joined the U.S. Navy and became a gunner’s mate. He served for two years aboard a destroyer, the USS John W. Weeks. When he came home on leave, he would show me pictures of his adventures at sea, and as I grew up, I vowed that I would be in the Navy like dad. And I was, a radioman, serving four years during Vietnam. I then went into the Naval Reserve, where I also one summer, like dad, served aboard a destroyer: the USS Forrest Sherman. I finally retired as a chief petty officer in 1992. Strangely, a year or so after dad passed away in 2002, I was visiting one if his sisters, my Aunt Diane, She had pulled out a photo album, and we were going through pictures of so long ago. Then she turned a page, and I saw dad in an Army uniform. When I asked her why he was in a G.I. outfit, she calmly replied that he had been in the Army before joining the Navy. “He WHAT?! ?” I barked, stunned. I had never known. Then she told me more. Activated from the Indiana National Guard into the Army in late 1942, he fought in the invasion of the Philippines and received the Purple Heart for a wound he received in the foot by a Japanese sniper. Nowadays, I tell people that I am all Navy, but that I’m tainted. I had one uncle who also served in World War II as a Marine, and another uncle who served aboard an LST at the Iwo Jima invasion in 1945. He once joked that he actually witnessed the first (smaller) flag raising on Mt. Suribachi, but from that far distance away in the bay, it looked to him like the Marines were planting a tree. He and his shipmates wondered why on earth the stupid Marines would do that in a combat area, until of course, the second historical flag raising took place and they figured it all out. What kinds of books did you read growing up? Which had the greatest impact on you? As a teenager very interested in military history and hooked on war games, I read a book destined to strongly affect my future writing: Cornelius Ryan’s classic The Longest Day. Having read many history books by then that often came off boring, dry and unimaginative, his style swept me off my feet. This account of D-Day brought the characters in the book alive through individual personal recollections, and suddenly a history book became a sort of novel for me. Even famous leaders were after all, people just like us. And I found that the myriad of human elements in historical events gave the turn of events a sort of unpredictability that had to be dealt with in writing history. I was later overjoyed to find out that his works were based on exhaustive research, which I appreciated, along the lines of such authors as Gordon Prange, and David Irving (until he philosophically ‘went off the road,’ so to speak), whose biography of Erwin Rommel I found to be superb. When did you first realize that you wanted to become a writer? What is it about writing that appealed to you? I have enjoyed writing ever since the sixth grade. I loved reading all sorts of stories, and began writing short stories that were sequels to some of my favorite movies, projecting me into the story. As a technical writer, I derived a certain sense of satisfaction creating a document that others used in the course of their jobs. What did you do before you started (or in addition to) writing? When we first moved to Columbus, like all Greek-American families, we bought a restaurant. So my first job was working for my father as our dishwasher/custodian/assistant short order cook, and for the amazingly gracious wage of 65 cents/hr. After the Navy, I worked in a firm specializing in aerial lift devices, where I began writing inspection manuals. From there, I progressed into tech writing. I guess that ever since junior high school, it has always had some appeal to me. In 1962 though, my interest really intensified when I discovered war games. My best friend, a guy with the really unusual name of Nemo Lionikis, one day introduced me to a new game that he had been given the Christmas before. It was called Tactics II (We never did find out the fate of Tactics I). This was a board fictitious war game, an innovative idea for that time. This game was unlike any we had seen before. The board was a simple map overlaid with squares. Small, square, cardboard counters represented military units, including armored units and paratroopers, that moved through these squares. The game represented a battle with turns. As a lad, I had never before seen this type of graphic depiction of a battle simulation. Ever since receiving my first set of toy soldiers at age 10, I had been enthralled with the mechanics of warfare, the art of moving men in conflict; but this was something new to me. Someone actually organized the conflict of men at arms more realistically into a game, portraying a large scale of battle over so compact a board. It was something that completely bowled me over. Naturally I became hooked as Nemo and I quickly moved onto other simulations just beginning to come out back then. Interest in military history just intensified with my love for this hobby. Who are your favorite authors, fiction and non-fiction, and why? Growing up, I was fascinated with the imaginary. Jules Verne totally enthralled me. I became lost in his futuristic, detailed stories. Sometimes I would saunter into the gothic with Edgar Allen Poe. My favorite science fiction writer though was Richard Matheson, who later became a screenplay writer for “The Twilight Zone.” In junior high school, I discovered a “We Were There” series of historical novels depicting kids my age who were caught up in some famous event in history, and if it was military, even better. My favorite was We Were There: At the Battle of the Bulge. As I have grown, I have delved almost exclusively into military history. Have you read anything lately that you’d like to recommend to our readers? I have always been fascinated by the Battle of Britain in 1940 and how the RAF turned back the mighty German Luftwaffe. I just finished reading Dowding and Churchill: The Dark Side of the Battle of Britain (Casemate). What a detailed, eye-opening narrative. I recommend it to any World War II enthusiast. How do you relax? Do you have any hobbies or interests? Strange, but now that I’m retired, I do not have that much spare time. As my wife likes to joke: I wonder now where I found the time to have a fulltime job. I take in an occasional war game now and then, but now they are all on computers; the board game is long gone. A good deal of my time is taken up with activities for The American Legion, and of course, writing. It concerns me that I am now working on five different books at the same time. Obviously, I need to prioritize! Could you tell us about George Peto, how you met, and why you decided to tell George’s story with him? In the spring of 2015, I entered a U.S. Naval Institute essay contest. The theme was some significant event that occurred in U.S. Marine Corps history. I finally settled on the controversial 1944 Peleliu invasion as a topic. A friend suggested that I consult with a local expert, a 93-year old Mr. George Peto, one of the “Old Breed.” George had actually been there at Peleliu, as well as three other major Pacific campaigns. Mr. Peto and I immediately struck up a friendship, and I invited him to co-write the essay with me. We made a good team since I am an experienced researcher and George not only had actually been there, but had a remarkable memory about his experiences and enjoyed retelling them. Our essay unfortunately did not win the essay contest, so we decided to turn it into a small book. During our research though, as I shared lengthy conversations with this charming, amazing, genial old man, I realized that not only were his wartime experiences remarkable, but there also were quite a number of unusual events that had taken place in the other times of his life. As he told me tales of his youth (again, I marveled at his consistent, detailed memory of things that happened over seven decades before), I realized that a much better book to write would be about his life. He good-naturedly agreed, and so we were off. I am proud of this book because not only did I enjoy writing it with George, but it combines my in depth research in these historical battles with the extraordinarily detailed daily memories of someone who actually fought in them. And Casemate has done a great job of putting it all together. The icing on the cake though, is to me in the exciting fine points of his experiences. I had as much fun listening to them as I did writing about them. Hearing him recall many near-death experiences, I jokingly remarked a few times that with all the near misses and close calls he had faced in his life, he had absolutely no business being alive. And yet, amazingly, he had survived them all with little or no injuries. I knew that this was a story I had to write, and I wanted the readers, especially those folks who had known and cared for him, to see his life through his eyes. To that purpose, we tried hard to put the narrative in his own style. I threw in the detailed historical perspective so that readers unfamiliar with this time could follow along. Anything else we should know about you and your books? I’d like to think that my training and experience as a technical writer has been well-used in my research and detailing of the military books that I have written so far. Working on three more at this time, I hope that I can continue what I feel is a high quality of accuracy; something I feel is paramount in writing about any history. And yet, I strive very hard to keep the narrative alive, so that the reader can understand the thought processes of those that were involved some 70 years ago. I hope to finish a deep dive analysis of the invasion of Peleliu this fall (an expansion of the original essay George and I submitted), which should make a good companion to this book. Following that will be a story on the destruction of Piraeus Harbor in April of 1941, inspired by an uncle’s personal recollection. I also hope to release for the 75th anniversary of D-Day a two-volume account on the German High Command in Occupied France in the months leading up to the Normandy invasion. Some 20 years in the making and similar in format to my Rommel’s Fateful Trip Home, it will be a diary-like chronicle filled with personal accounts and anecdotal details entirely from the German side. It should be different than most other works, giving an in depth look into the personalities of the German generals. Peter Margaritis minored in History at Ohio State University. A retired chief petty officer, he has an extensive military background in communications and naval intelligence. He now writes and lectures on military history. He has written many technical manuals and guides as a civilian, dozens of reports in the military, and several articles on World War II and the Civil War. He has published several short books on The European Theater. On September 15, 1944, the U.S. First Marine Division landed on a small island in the Central Pacific called Peleliu as a prelude to the liberation of the Philippines. Among the first wave of Marines that hit the beach that day was 22-year-old George Peto. Growing up on a farm in Ohio, George always preferred being outdoors and exploring. This made school a challenge, but his hunting, fishing and trapping skills helped put food on his family’s table. As a poor teenager living in a rough area, he got into regular brawls, and he found holding down a job hard because of his wanderlust. After working out West with the CCC, he decided that joining the Marines offered him the opportunity for adventure plus three square meals a day; so he and his brother joined the Corps in 1941, just a few months before Pearl Harbor. Following boot camp and training, he was initially assigned to various guard units, until he was shipped out to the Pacific and assigned to the 1st Marines. His first combat experience was the landing at Finschhaven, followed by Cape Gloucester. Then as a Forward Observer, he went ashore in one of the lead amtracs at Peleliu and saw fierce fighting for a week before the regiment was relieved due to massive casualties. Six months later, his division became the immediate reserve for the initial landing on Okinawa. They encountered no resistance when they came ashore on D+1, but would go on to fight on Okinawa for over six months. This is the wild and remarkable story of an “Old Breed” Marine, from his youth in the Great Depression, his training and combat in the Pacific, to his life after the war, told in his own words. Twenty-Two on Peleliu is available from all good bookshops. eBook version also available. Greetings. I am trying to find contact information for Mr. Margaritis. My late uncle served in the same company as George Peto (M/3/1), and I’m looking for any information I can find to flesh out my research on my uncle’s service in anticipation of a visit to Peleliu next year. I would like to correspond with Mr. Margaritis to see if he can shed some light for me. Great book, by the way! Thanks for getting in touch. We’re glad to hear you enjoyed the book! 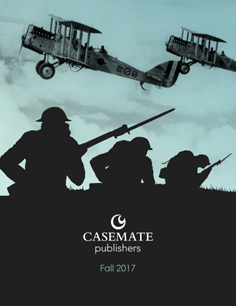 We cannot give out authors’ contact information, however; if you send an email to casemate@casematepublishers.com we would be happy to pass along a message to Peter Margaritis for you.